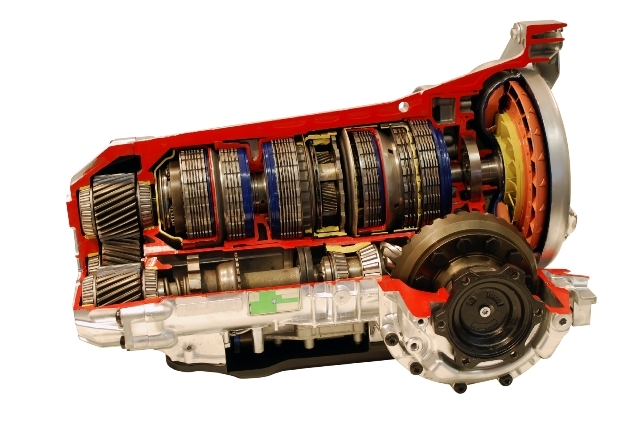 Your transmission is one of the most important parts of your vehicle. It works in conjunction with your engine to control your car’s performance, helping it to operate properly at different speeds. Like motor oil for your engine, transmission fluid helps to keep your transmission lubricated and running smoothly. Without the proper type or levels of transmission fluid, your transmission can easily overheat, lock up, or otherwise fail. Repairing your transmission is no easy or inexpensive task. If your transmission fails, you will have to pay thousands of dollars to repair or replace it. In most cases, the value of the repairs will exceed the value of the car (It’s rare that a transmission will fail when the car is still relatively new and retaining its value). Getting regular maintenance for your transmission will help keep it running well and extend its life. That means getting a regular checkup and using a quality transmission fluid. You should also get your fluid flushed and changed every 100,000 miles or so. Using a transmission additive could also help protect your transmission and improve its performance. Some experts debate the treatment’s effectiveness, but most agree that it is useful for vehicles that are regularly used to tow heavy loads, those that are driven in temperature extremes or other rough conditions, and those that have high mileage. Fluid leaks may seem like minor issues, but they can cause major problems. Even a small transmission leak can cause the transmission to operate too hot or can cause it to work less efficiently. You might notice rough shifts or slips when your transmission fluid is low. 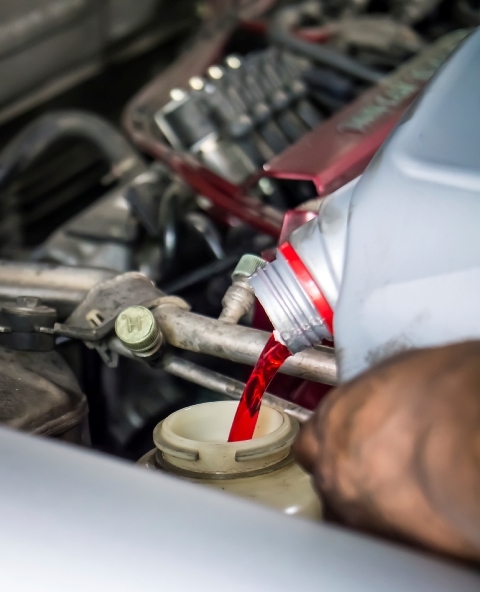 Since transmission fluid is corrosive, small leaks can also lead to major damage to nearby parts or other components. A good treatment will help to minimize or stop small leaks by conditioning the seals. Over time, even high-quality transmission fluids will begin to thicken. Dirt and other contaminants will mix with the fluid and begin to form sludge. To understand the impact this can have, think about pancake batter running through your transmission instead of cooking oil. The thicker fluid will not move as quickly, and it will prevent the parts from moving easily and efficiently. Sometimes a varnish will form which can damage the surrounding parts as well. A proper treatment can help to keep the fluid viscous and to keep impurities from forming. The transmission fluid will continue to move freely and to keep the transmission working as it should. Not surprisingly, when you have healthy transmission fluid that is moving freely throughout it will keep the entire unit working well. Once the fluid starts to get old, starts to thicken, or forms impurities, the transmission will start to work harder and will not be as effective. The harder your transmission has to work, the more wear it will put on its parts. Over time, you’ll have more problems with your transmission and have to make more repairs. A good treatment will keep the transmission fluid healthy and will help to minimize the wear on the parts. You’ll save money on potential repairs and ensure the health of your transmission. When your transmission is working harder because of poor quality fluid, you are going to know it not just in the increased repairs you have to make, but also in the noise it makes. You will hear the strain of your transmission in the roar under your hood, the clanking, the whirring, or other noises. Your transmission may even shudder, or make vibrations. Not only does that make for an unpleasant ride, but it increases your stress since you know that bad things are brewing for your car. Adding a good treatment to your fluid will reduce the noises and the vibrations that you experience. With all these benefits, the right additive can also extend the life of your transmission. The right treatment will lower the running temperature of your transmission, which will prevent overheating. It will also reduce the wear on parts and keep your transmission running properly. Putting less strain on your transmission will help to prolong its life. You’ll wind up in the repair shop less often and you’ll get great performance from your car. You can even save money by keeping your fuel efficiency low. Don’t trust just any additive. Make sure you buy a high-quality treatment that is specially formulated for the needs of your specific vehicle. Keep up with your preventive maintenance and you’ll add years of life to your transmission and your car.